For years it was estimated that the human body (of a 150-lb man), considering that 60% is water, and adding the chemical contents, was worth 98 cents. In the 1960’s they upgraded that amount to $3.50; and in the 1970’s they adjusted the tally, evaluating it at $5.60. Later in that decade, a Yale University biochemist received a humorous birthday card from his daughter in which the original dollar value was stated. He was the wrong person to try to stick with that proposal. He reached for a supply catalogue and began to look up prices relating to the chemicals with which he was familiar. When he had completed his inventory, he maintained that the 98 cents was away off the map. The total value, using his own weight of 180 lbs. as a scale, should read closer to $6 million dollars. The exact tally was $6,000.015.44! Of course in the New Millennium even that figure is both out-of-date, and not nearly precise enough. In hockey games when a goal with 1.7 seconds left on the clock can determine a win, loss, or a tie……one must be more exact than ever before. Chemicals are only a part of the most recent tabulations concerning the worth of this old carcass of mine. “Components” of a dozen different kinds now enter into the picture. Basics like bone marrow are calculated at $23,000 per gram—blood at $337. per pint. Organ costs are part of the formula—even DNA. But alkali metals, if you please, is where the dollar temperature starts to rise. Things that most of us have never heard of—like “rubidium”--$10,000. ; “boron”--$6,000. ; germanium--$2,000—and potassium--$650. Then there is a list of “black market” body parts prices. A couple of examples are: one liver--$15,763, and kidneys--$95,240. But when it comes to average hockey fan, such figures warrant a mere casual glance. “What is a hockey body worth?”. That is the question! Obviously it depends of whether those who do the evaluating make a positive or negative estimate of the player involved. That spring the Montreal Wanderers were their opponents in the finals. One day McGee missed the scheduled train to the Mount Royal City, and Ottawa’s management appraised his worth so highly that they paid $1,200 to hire a special train to transport him to the game. Although hockey was technically an amateur sport at the time, when those same Wanderers turned openly professional four years later, “Newsy” Lalonde received only $1300. for his annual services. That indicates just how highly they rated their star forward. One of the game’s favourite stories, told and retold, involves the storybook nature of Conn Smythe’s deal for “King” Clancy in 1931. The Great Depression had set in, sabotaging bank accounts, both personal and corporate. The Ottawa Senators were no exception, so they put Clancy, their most viable commodity, on the trading block. The $35,000. they requested seemed an insurmountable hurdle for any and all bidders. But Conn Smythe ‘s uncanny monetary wizardry prompted him to go for broke in this venture. He gambled a bundle on his own untried racehorse, “Rare Jewel”, and won between ten and eleven thousand dollars. This went along with the $25,000 the team governors were willing to spend. Adding post-dated cheques, and throwing in Art Smith and Eric Pettinger, he forked over the equivalent of $50,000 for the rambunctious rearguard. Obviously no financial sacrifice is too great if the prize is worthwhile. The “Little Major” was certainly convinced this one was. Back in 1957 Frank Selke Sr. heard rumours that Ted Lindsay, 163 pounds of muscle and sinew, propelled by inherent meanness, was no longer on speaking terms with Detroit Manager Jack Adams. Visions of shinny sugar plums began to dance in his head, as he could picture a Montreal Canadien forward line of the Richard brothers (centre and right wing) complemented by the premiere league left wing, the Red Wing’s old “scarface” himself. So he offered the Motor City manager $100,000. for Theodore’s contract (at that moment, the probable salary of upwards of $20,000 per annum would have to wait). “Jolly Jack” wanted no part of contributing to the Habs’ ongoing success (three Stanley Cup wins in the last five seasons). So, since Lindsay was in the dog house for quarterbacking a possible player’s union, he was traded to Chicago instead. With the changing value of money it is difficult to compare amounts utilized in different eras. But a million dollars has a definitive ring, regardless of the calendar year. So it was that a half decade later the Queen City franchise was involved in another rather exorbitant monetary milestone. On October 5, at the gala 1962 All Star dinner, Harold Ballard, braced by some liquid refreshment, was bragging on the superior skills of Frank “The Big M” Mahovlich to Chicago’s CEO, “Big Jim” Norris. “I’ll give you a million dollars for him!”, came the spirited reply. “You’re kidding, Jim”, spluttered Toronto’s Vice-President. And with that Norris proved he wasn’t kidding, by laying down a deposit of $1000 on the table. How much of what is reported to have taken place is gospel, and how much is fictional, is still debated. Some said it was all a hoax; others that it was a genuine proposal. But saner heads prevailed in Leafdom, and Frank stayed in the “city of churches” for six more seasons. But there is no question as to how highly Mahovlich was appraised as a hockey player. But, there are at least a dozen instances which typify the very opposite sentiment about a player’s value on the shinny barometer. One year later, when pro hockey’s only military squad was ordered overseas, more than one alleged discrepancy came to the fore. But when it came to Eddie Oatman, along with the revelation that he might never have actually been enlisted—and thus not a bona fide member of the 228th Battalion—he spilled the beans about the amount of his promised $1,200 salary he received ($400). The cat was let out of the bag at that time—all members of the Northern Fusiliers had nominal contracts of $1.00—in keeping with the league’s bylaws. In the late 1920’s the service of two old pros was gained for the paltry sum of $1.00. 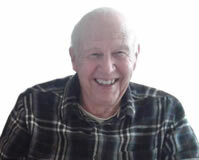 One was Herb Gardiner, whose first five years on the pay-for-play scene was spent with the Calgary Tigers on the Western Hockey League. But when that circuit folded, countless “Western” skaters were snapped up by NHL clubs. The Habs’ Leo Dandurand put in this cheapskate bid for this stalwart blue-line workhorse, and it was accepted by Frank Patrick who was is charge of dispersing WHL players. He faithfully minded the store for the Canadiens for three more seasons. The other victim was Charles “Dinny” Dinsmore. Commencing in 1924 he patrolled the left-wing corridor for the cross-town Montreal Maroons. Suddenly in 1927 he decided to abandon the shinny scene to become a bond salesman. But the lure of the game was too much for him, and as the 1929-30 campaign drew near he approached Manager Dunc Munro about returning to the ice. The price of his comeback to the Maroons would be one buck. Of course Munroe agreed to this humiliating financial arrangement he had hung on himself. Unfortunately, his skills had faded, and he lasted only nine games before going back the work-a-day world. Joe Pelletier calculates this amounted 11 cents per game. 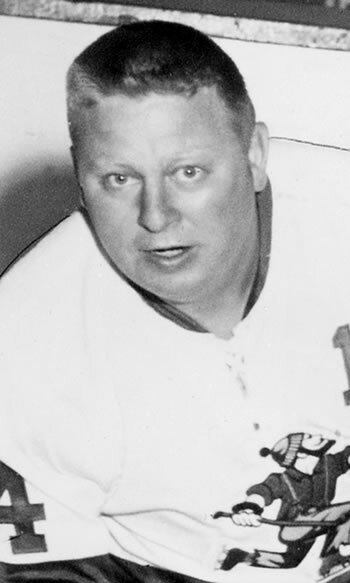 “Buddy” Boone was called the NHL’s “original fatman”. But he was also tagged “minute man”. When Boston’s Leo Labine was injured in the 1957 playoffs, Boone was called up to replace him. He played in all of the 5-game series against Detroit; although it is said he played only one minute of a crucial match which led to the end of the Red Wings post-season. And in that minute of the second frame he beat Don Simmons, tallying a key marker in the 5-4 victory. “Nothing!”—and he left it at that. Bronco Horvath, centre for the famous Bruins’ “Uke Line”, and Second Team All Star in 1960, must have been happy that it was a devoted fan, not a team CEO, who reimbursed him for goals scored in 1959-60. At that time, he took golf lessons from Sam Videtta at the Colonial Country Club. A real Bruins fan, he decided to reward the Bronc with golf balls for every goal he scored—at the rate of two for each goal, six for a pair, and a dozen for a hat trick. When he finished the year with 39 markers, it was suggested that he had more balls to cart home than 39 caddies could carry! Ray Sheppard was no run-of-the-mill puckster. He lit the red lamps behind NHL netminders 52 times in 1993-94. When he finally hung up his blades he had tallied 357 total goals in regular season play. But his worth was not immediately recognized. In 1990 the Sabres tried to avoid waving him through the league, so they sold him to the Rangers for $1.00. New York managed to stumble onto an identical bargain a year later. Goalie Sam St. Laurent played 14 games with Detroit in 1989-90, then was farmed out to Adirondack. With Glen Hanlon and Tim Cheveldae sharing the netminding duties in the Big Time, he became dispensable. For that same bargain-basement buck, he was on his way to the Big Apple. He never took his place between NHL pipes again. The early 90’s seemed to be an era when that pattern kept being repeated. Kris Draper was another example of weird economics. He was drafted by Winnipeg in 1989, and played his first pro season in 1990-91. While he skated a few shifts from time to time with the Jets, most of his initial campaigns was with their AHL affiliate in Moncton. Although his stipend was not large for an NHL’er, the Manitoba contingent felt it was too costly for a minor leaguer. So for that magic greenback they pawned him off on Detroit. There he enjoyed four Stanley Cup victories, and earned the Selke Trophy as the league’s Best Defensive Forward in 2003-04. When Zellers had stores in almost every city and town, they used to run specials called “Dollar Daze, the pun intended to indicate the prices were so good it “dazed” the buyers. Obviously several NHL clubs have had their DOLLAR DAZE as well, and the players who were sold for a song were the ones a fog about their treatment. In the New Millennium, of course, another buzz word applies to such skimpy transactions. They speak of a player being dealt “for a bag of pucks”—meaning the least possible outlay for the buyer. Perhaps this is a good time to repudiate a popular tale which has been promulgated with more than one twist—but is still fiction. Originally (as always) it involved Eddie Shore and his cheapskate ways. The story goes that he once traded Jake Milford from Springfield to the Buffalo Bisons for two goal nets—and was upset when he discovered they were used. Problem is—Jake Milford never played for either Springfield or Buffalo. The later version has John Baby as the pawn, dispensed to Victoria—for one Art Ross net—and that it was only one because he wasn’t worth two. But he didn’t commence his pay-for-play tenure until long after Shore’s reign, and didn’t skate for either Springfield or Victoria. After all that depressing revelation it may be appropriate to close with a light-hearted element to this essay.